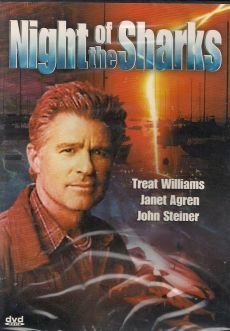 The US DVD from Mill Creek was compared with the Japanese DVD from Magnet. 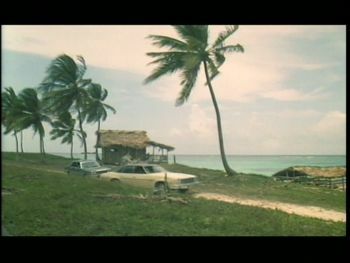 David Ziegler has a rather relaxed life in his cottage in Cancun. 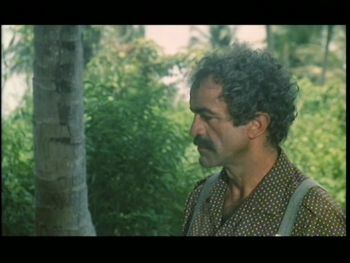 With the local Juanita, he has a pretty girlfriend at his side and with his friend and crook Paco, he keeps himself afloat with odd jobs. 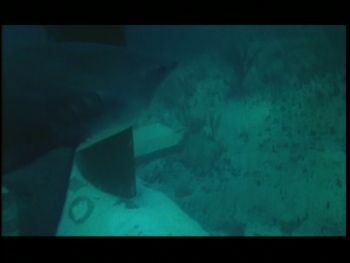 It is unpleasant that he has an arch-enemy in the form of a shark in the sea, who occasionally mutilates divers or steals David's boat. 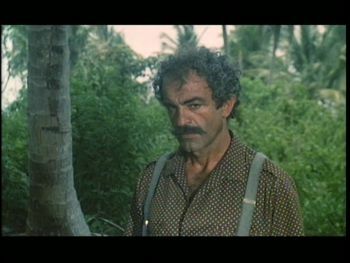 His brother James lives in Miami and works for a gangster boss who maintains business relationships with high government officials. 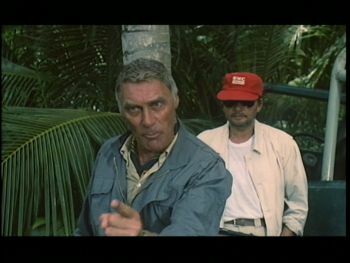 When he wants to break away, he blackmails his ex-chief Rosentski with compromising tape recordings to get the necessary starting capital for a new beginning. 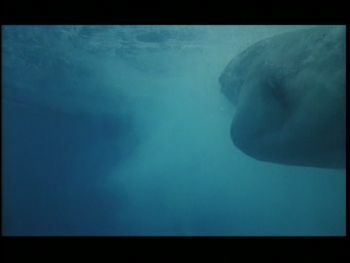 He sends the tape recordings to David, who hides them in the shark's stomach. 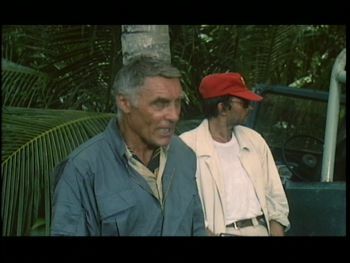 James manages to blackmail valuable diamonds and travels to David, but a short time later is murdered by one of Rosentski's contract killers. 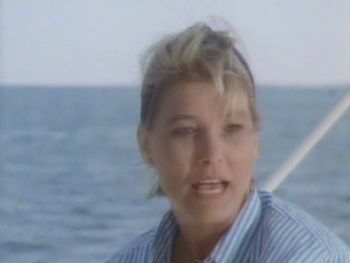 Rosentski sends David's ex-wife Liz to persuade him to move the tape out. 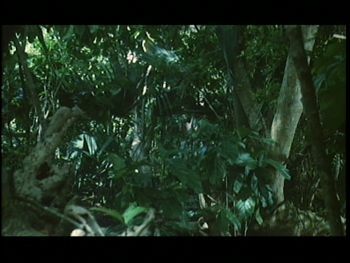 When she doesn't get her job done despite her post-marital coitus, she is killed without further ado. 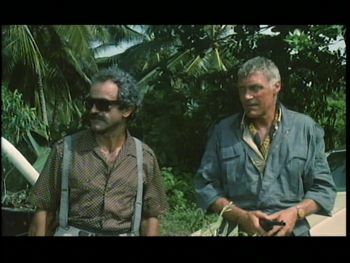 David swears revenge and takes on the contract killers of Rosentski. 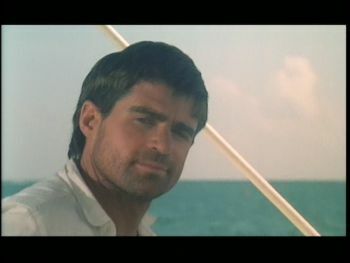 Finally, he lures Rosentski to Cancun and fakes his own death to end the affair. 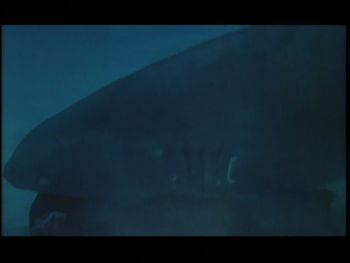 Night of the Sharks is a rather witty B-movie in which the title-giving shark only plays a supporting role, rather we are dealing with an adventure/thriller, which knows how to entertain due to its many abstruse ideas and brisk narrative speed. 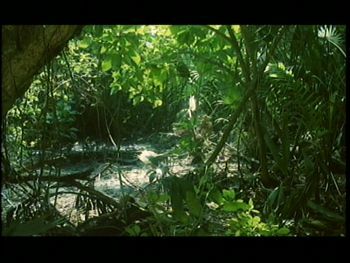 As you can read in the imdb, several public domain versions, including the US DVD of Mill Creek, are cut by a few minutes. 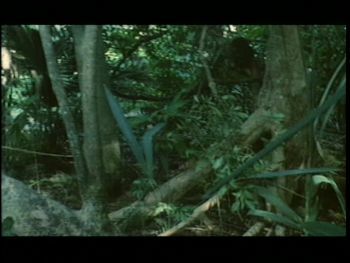 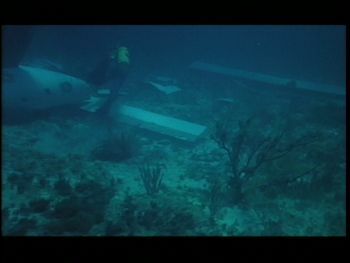 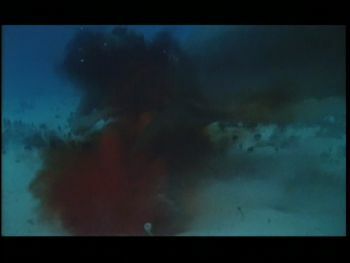 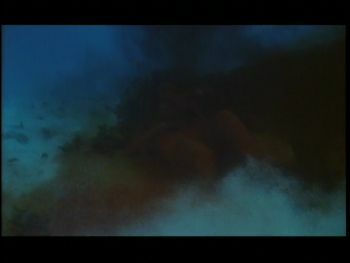 Various underwater scenes and also bloody attacks of the shark were removed as well as some action scenes during the chase through the jungle. 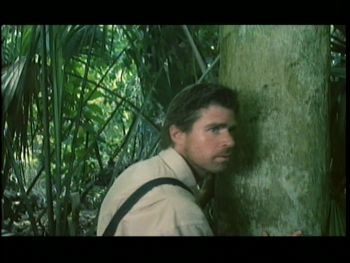 In the imdb there is talk of 8 minutes time difference, in fact there are only 4 minutes missing. 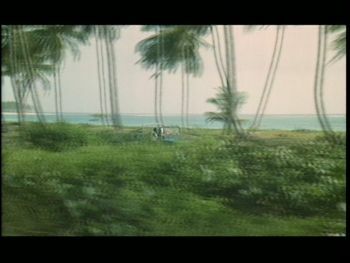 The running time of the German DVD indicates that the uncut version is on it. 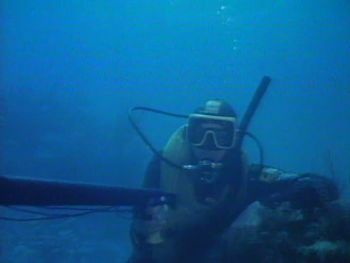 The diver fires the harpoon. 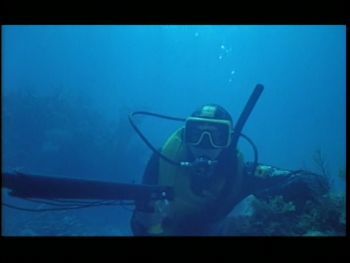 In the US DVD follows the scene in which the diver fires the harpoon. 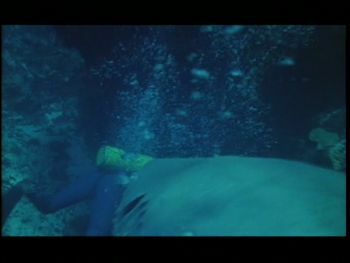 In one shot the diver is attacked under water by the shark. 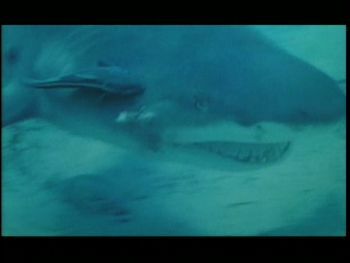 The shark's attack can be seen longer. 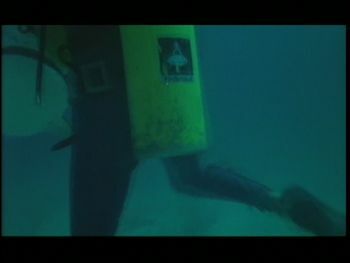 It becomes clear that the diver has lost a leg. 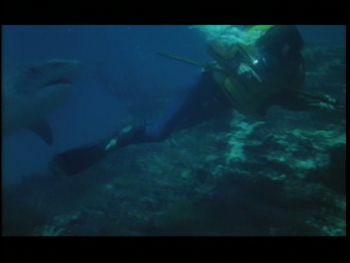 Before the opening credits begin, one can see the shark swimming away with its prey (the diver's leg). 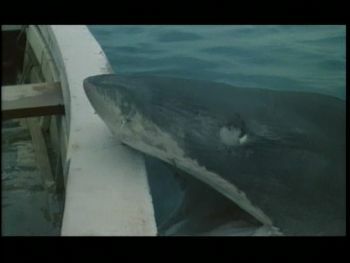 A short shot in which the shark attacks the boat of David is missing. 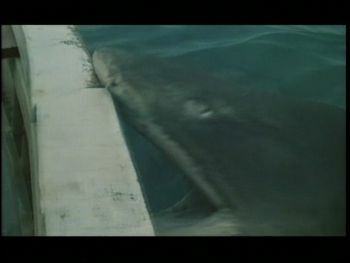 In two shots, the shark releases from the boat. 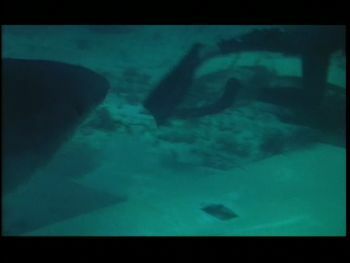 The shark strikes against the boat as he pursues David. 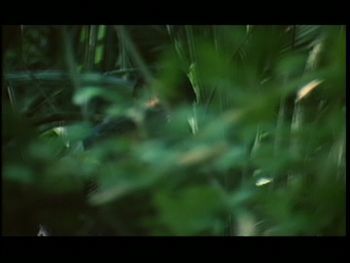 Liz can still be seen in the US DVD. 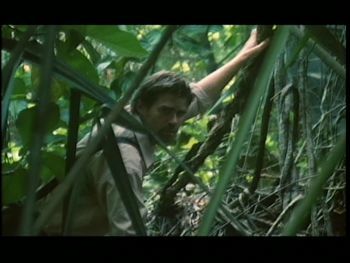 In the JP DVD instead a short cut to David. 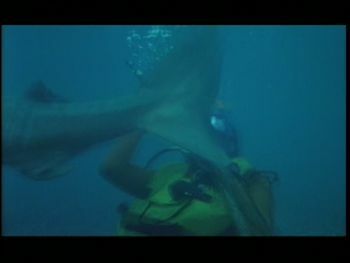 Kim's being attacked by the shark. 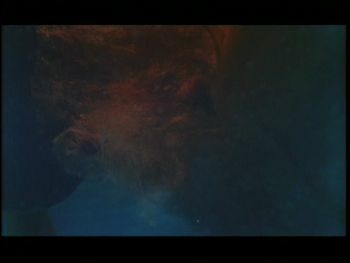 The water turns red from her blood. 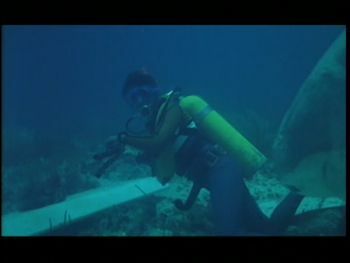 Kim is dragged to the bottom of the sea by the shark. 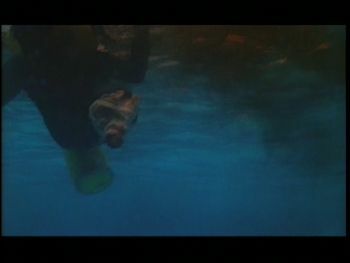 In another shot you can see the shark attacking Kim. 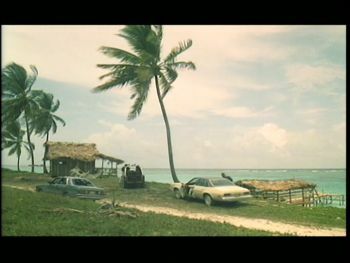 The gangsters get into their cars and take up the pursuit of David. 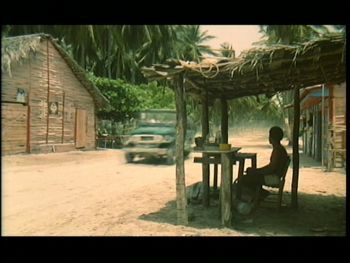 In one shot you can see David driving his jeep through a village. 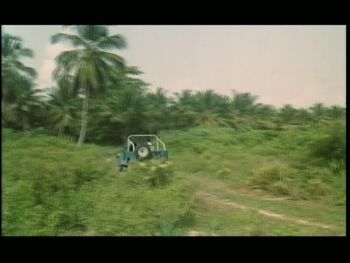 In further shots you can see David driving through the jungle. 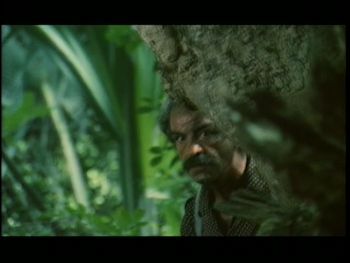 The gangsters are behind him. 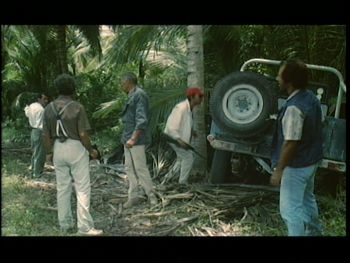 The gangsters ask themselves where the jeep could have gone because they don't see any tire tracks anymore. 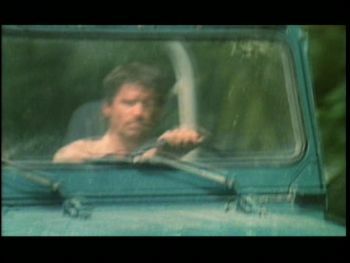 One of the gangsters points to which direction the jeep drove. 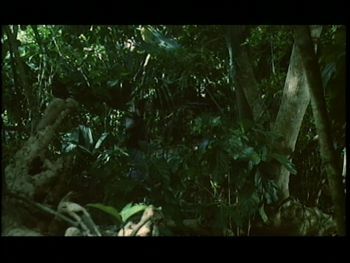 Garcia doesn't know exactly where they are. 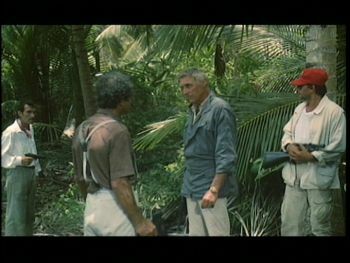 The boss says that they got caught in David's trap. 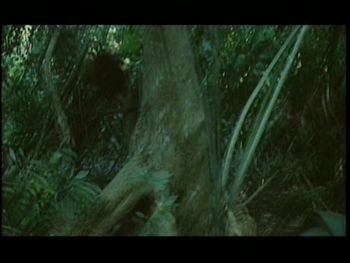 He doesn't want any more risks because they are enough people to catch him. 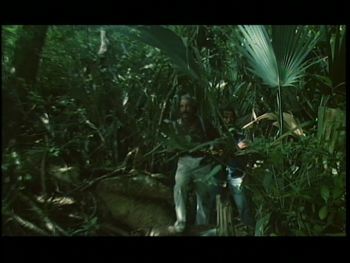 In a POV shot you can see Garcia walking through the jungle. 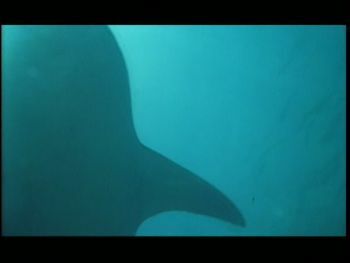 David and Paco can be seen longer. 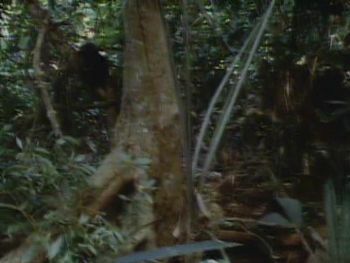 Garcia sneaks through the jungle. 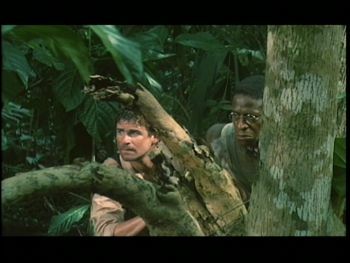 Then you see David and Paco again. 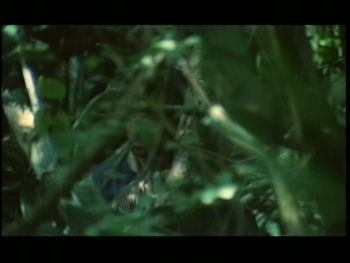 The US version shows the POV-shot of Garcia, which was to be seen in the JP DVD already earlier. 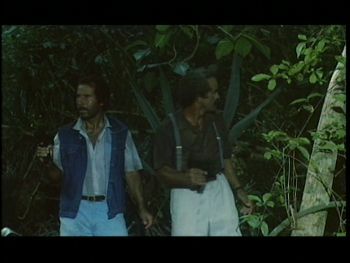 The gangsters are looking around. 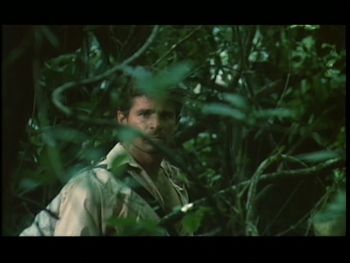 David walks through the jungle. 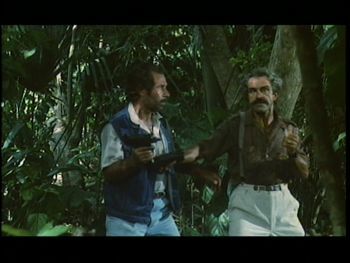 One of the gangsters wants to storm forward when he hears the shots but Garcia holds him back and points another way. 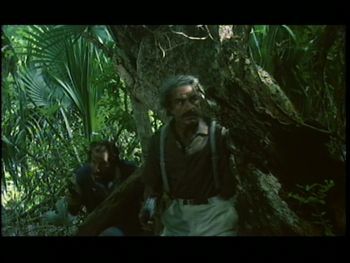 Garcia and the gangster sneak through the jungle. 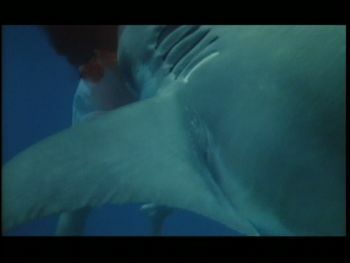 The shark swims towards David, who flees from the shark. 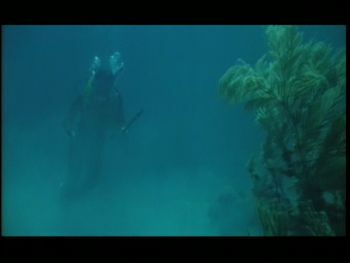 In further shots you can see David fleeing from the shark. 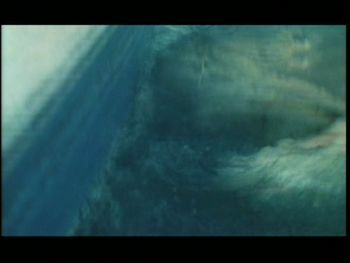 Again you can see David fleeing longer.